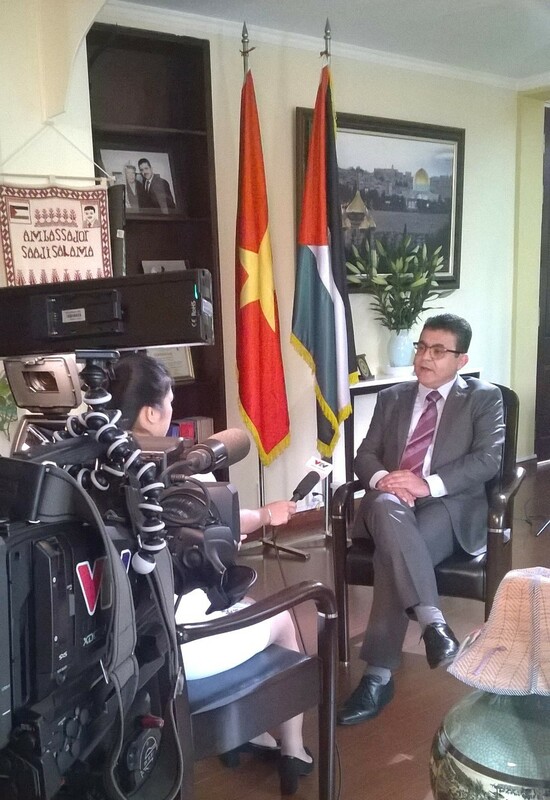 Hanoi - Ambassador Saadi Salama was interviewed by reporters of Vietnam Television International (VTV4) of Vietnam Television on Monday, November 23rd about the relationship between Palestine and Vietnam. 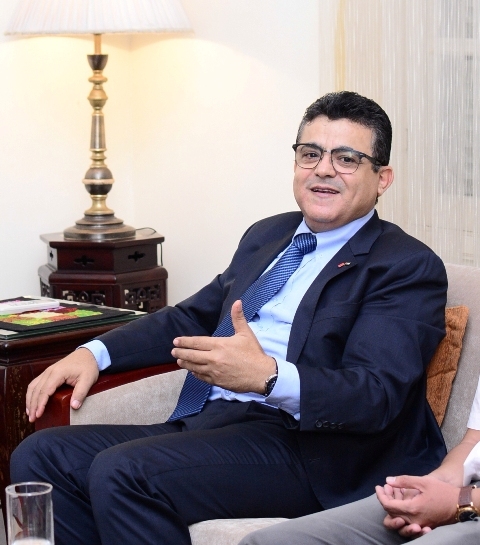 Ambassador Saadi Salama stressed that the two countries have a lot of similarities as the basic to develop the cooperation relationship in all fields. 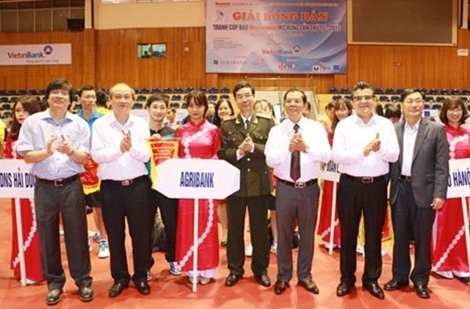 Ambassador Saadi Salama attends the opening ceremony of the 2015 Hanoi Open Table-tennis Championship at Trinh Hoai Duc Competition Hall as a Guest of Honor on November 19th and interviewed by Hanoimoi Newspaper's reporters. 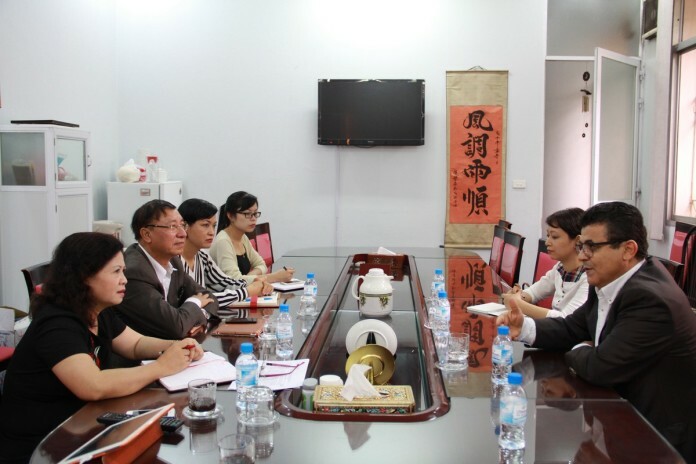 Hanoi – In preparation for the activities to commemorate the annual International Day of Solidarity with the Palestinian people (29 November), Ambassador Saadi Salama and staff of Palestine Embassy in Hanoi had separate meetings with the Hanoi Union of Friendship Organization and the Vietnam Committee of Solidarity with the Palestinian people on 11th and 18th November 2015. 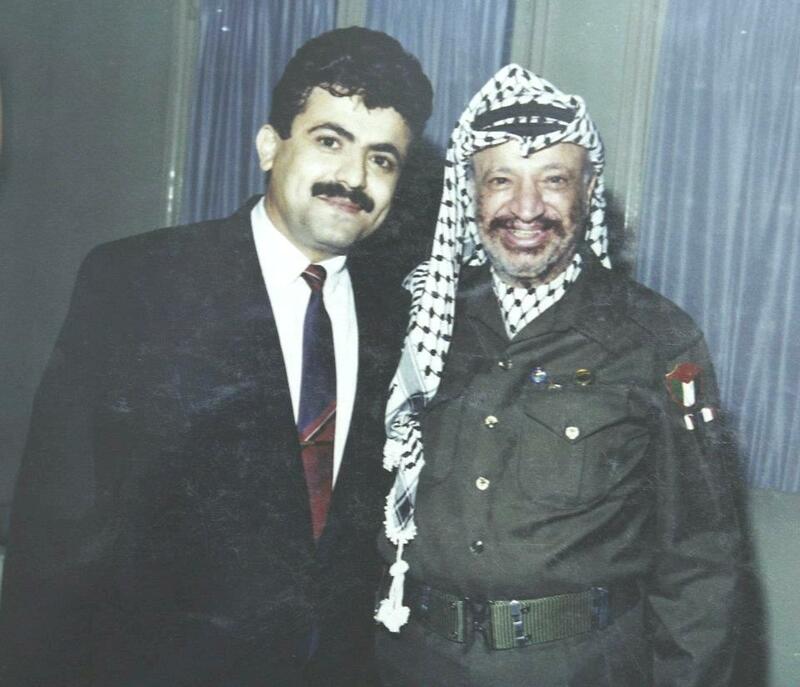 "Mr. President, since the first time I met you thirty four years ago, I was studying at Hanoi University in Viet Nam; that was only a few days after the assassination of former Egyptian president Anwar Sadat in Cairo by extremists Muslims and the assassination in Rome of your brother-in-arms Majed Abo Sharar by Israeli’s Intelligence and Special Operations agency “Moosad” . I realised then that one might disagree with you but no one can refute you. Hanoi - On Wednesday 21 October 2015, Ambassador Saadi Salama met with world news reporters in Hanoi. He updated reporters on the latest developments in the Occupied Palestine, particularly the escalating violence in Jerusalem in recent weeks, and then discussed with them various issues related to the Question of Palestine.